It’s nearly long holiday here in Indonesia, welcoming Idul Fitri. I hope you are all have a wonderful time with your family and friends! 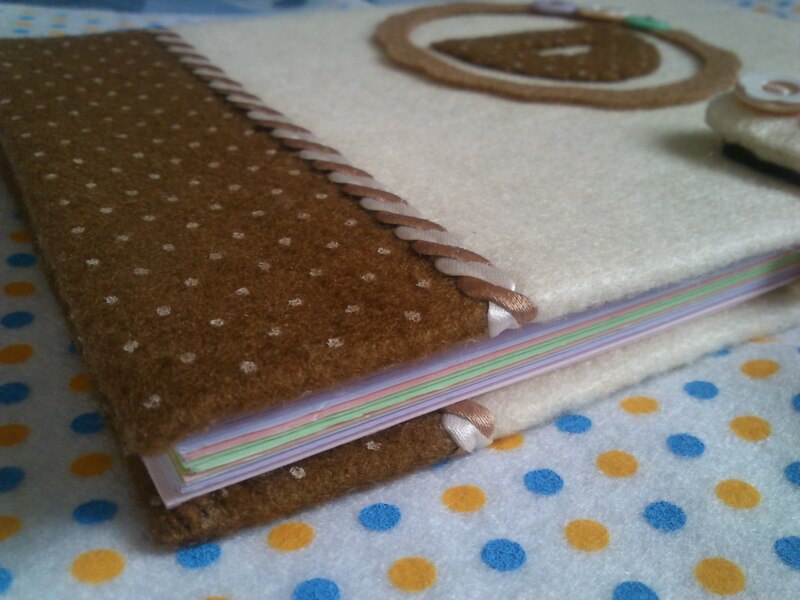 Before I’m busy with this holiday :p let me share with you four journals I managed to make recently. Lately, I’ve been in love with handmade journal/notebook. Ever since I found the tutorial for bookbinding in Pinterest, I wanted to try it. I have to say, I hate you Pinterest!!! For giving me so many inspirations, but no time to work on a project. 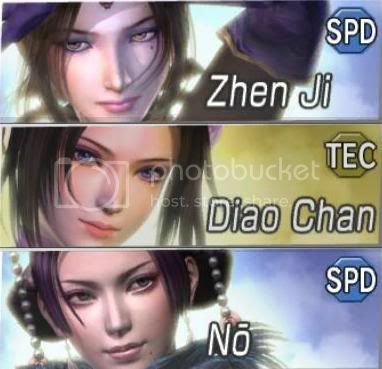 Heh :p Just kidding. 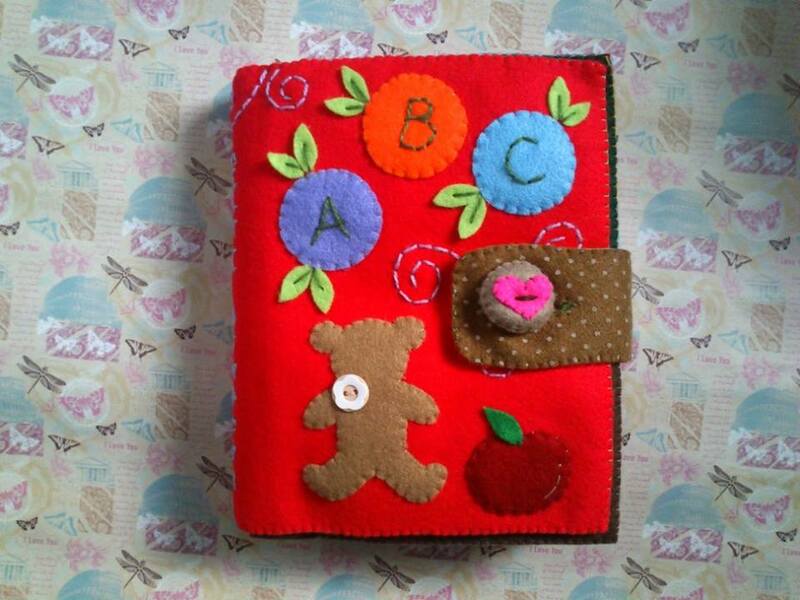 This is the first journal that I made. 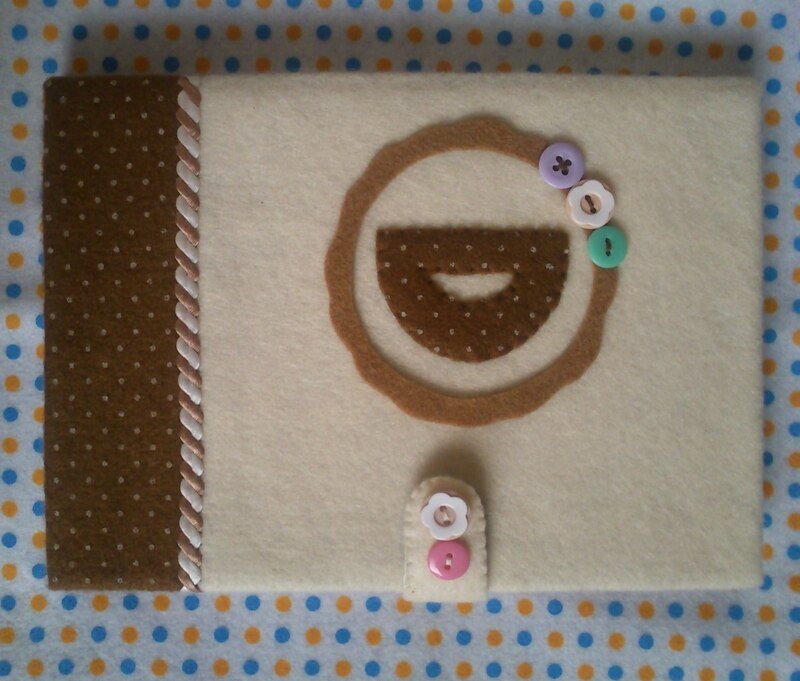 The inside pages are HVS paper and the cover is cardboard covered by felt fabric. It’s for personal use, so I make it blue, my favorite color. 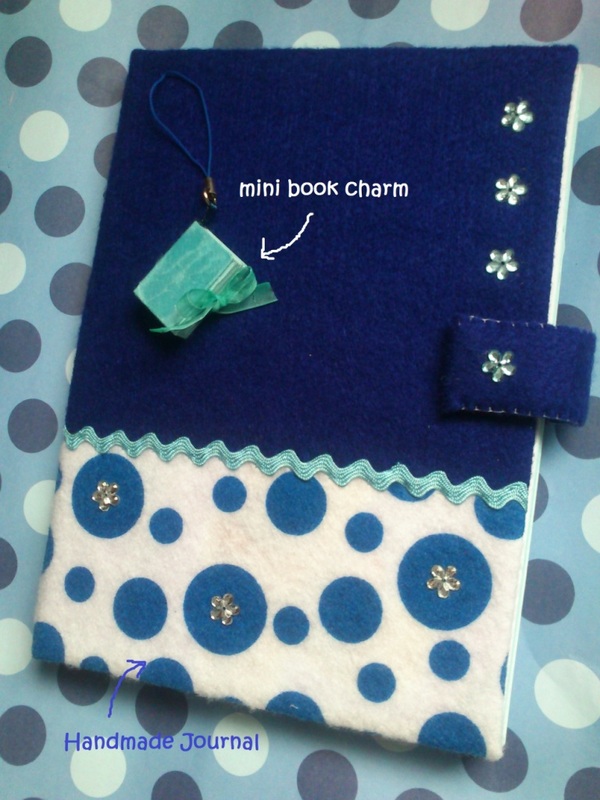 I also made a mini book charm using the same bookbinding method. Some people seem to appreciate it, and a friend asked if I could make one for her. I said sure. She wanted it red, her favorite color, so I use red wool thread for the binding. For the paper inside, I choose 4 colors: white, pastel rose, pastel ivory, and pastel peach. In the previous post, I shared with you an alphabet book without the tutorial because I didn’t take picture of the process. It was a trial and error project anyway. 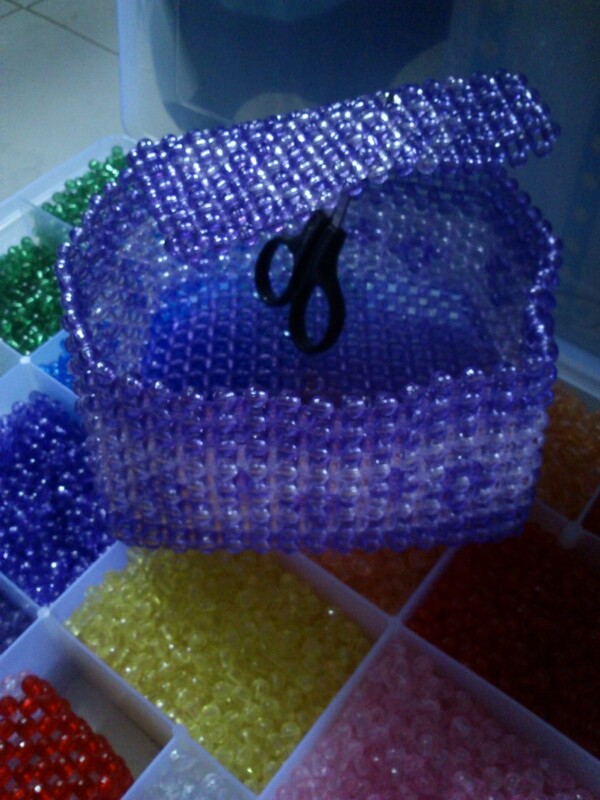 This time, I’m going to share the process of making colorful cubes (it’s similar to dices). I forgot to mention the scissors. It’s near the drawing pen. Alright then, are you ready? Let’s begin! 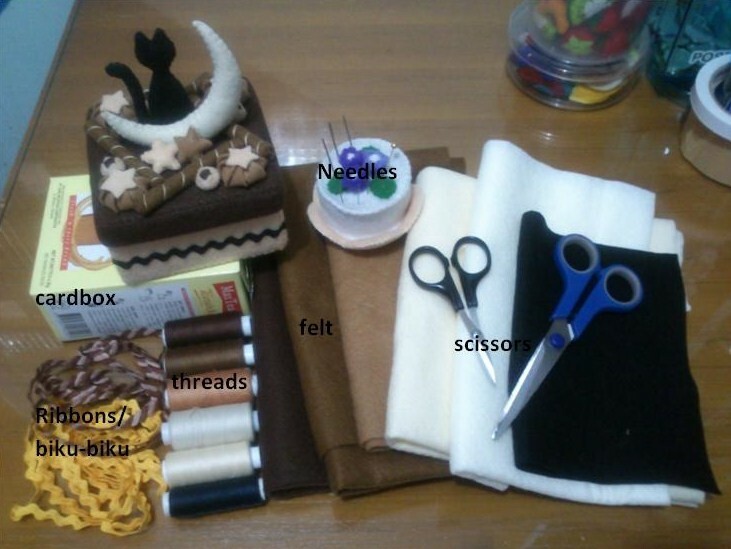 You will need to prepare some things first (see in the picture): felt of various colors, threads, needles, markers (to make the patterns), glue, and scissors. You may see I use two scissors… the small one and the larger one. 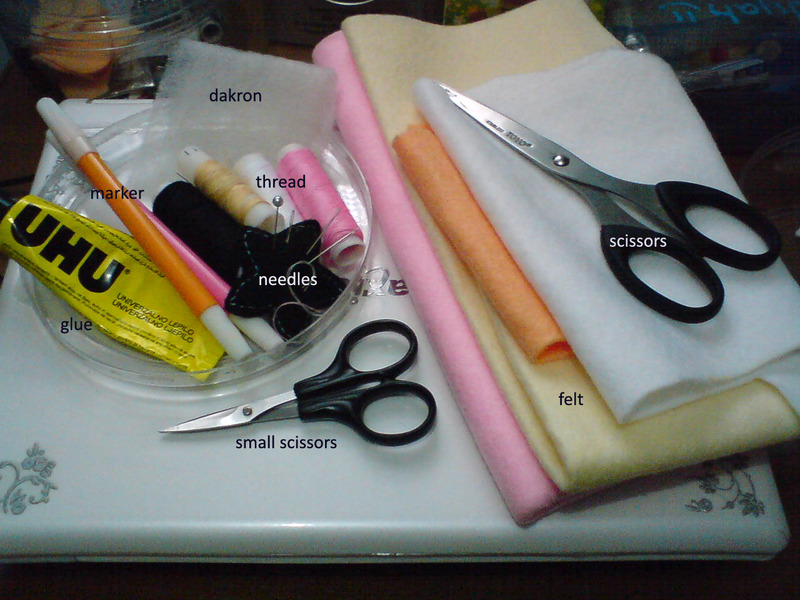 The small one is actually sharper and it is very useful when you have to cut small patterns. Pertama-tama, siapin dulu bahan/alat di atas (liat di gambar): kain flanel, benang jahit, jarum, spidol (buat ngegambar polanya), lem (aku senengnya pake UHU, tp kalo mw yg lain jg boleh…asal jgn pake super glue ya), dan gunting. Kalau liat di gambar, aku pake dua gunting..satu kecil satu gede. Yg kecil tuh lebih tajam dan amat berguna untuk ngegunting pola2 yg kecil. You may print this patterns and adjust the size according to your preference. 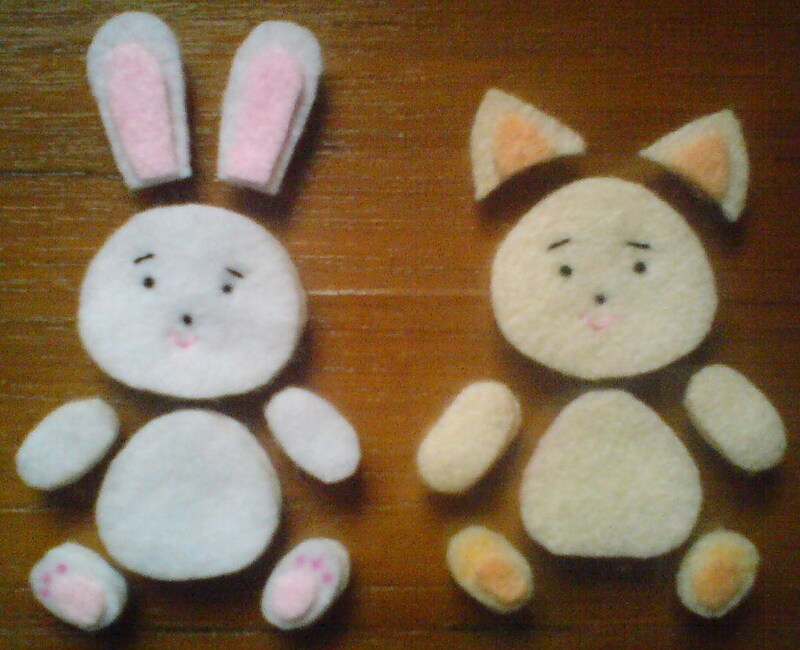 Here I make quite small dolls…about 4.5 cm in height (not including the long rabbit ears). 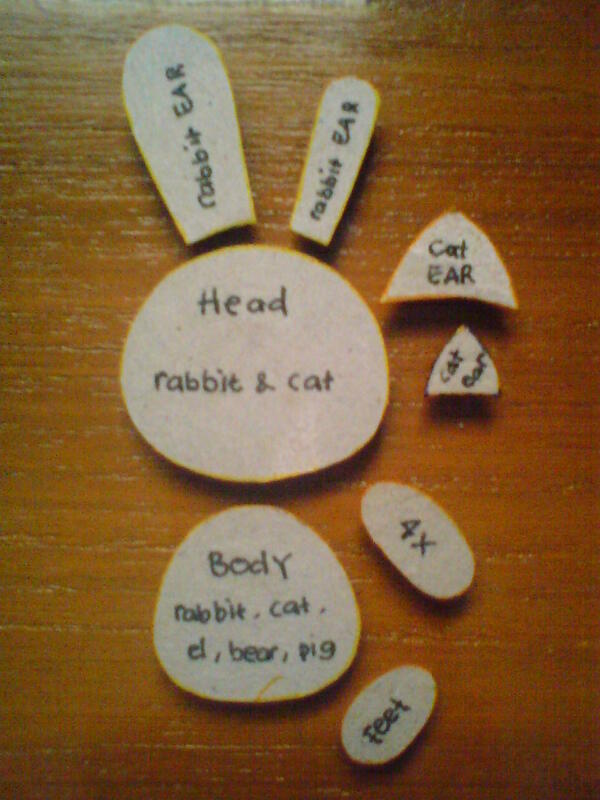 Apply the patterns onto the felt material… Big ear: make 2 times; Small ear: make 2 times; Head: make 2 times; Body: make 2 times; Hand: make 4 times; Feet: make 4 times. 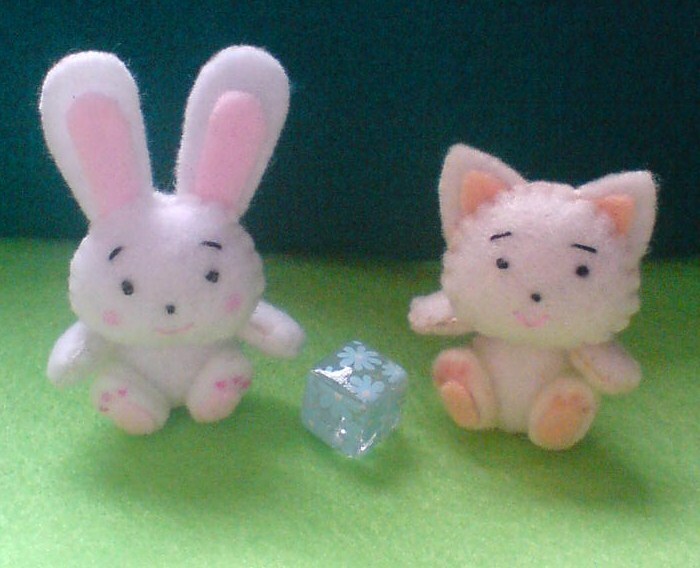 Glue the small ears onto the big ones. Make the face: one nose, two eyes and two eyebrows using the black thread, and make the mouth using the pink thread (you can blush the cheeks later on using pink marker). Cetak pola ke atas kain flanel… Telinga yg besar: 2 kali; Telinga yg kecil: 2 kali; Kepala: 2 kali; Badan: 2 kali; Tangan: 4 kali; Kaki: 4 kali. Lem telinga yg kecil ke yg besar. Bikin mukanya: satu hidung, dua mata dan dua alis pake benang item, lalu bikin mulutnya pake benang pink (kasih rona pipinya nanti aja kalo uda jadi, pake spidol). Sew the patterns for head, body and hands together, filling them with dakron. Don’t forget to insert the ears into the head while you’re sewing. 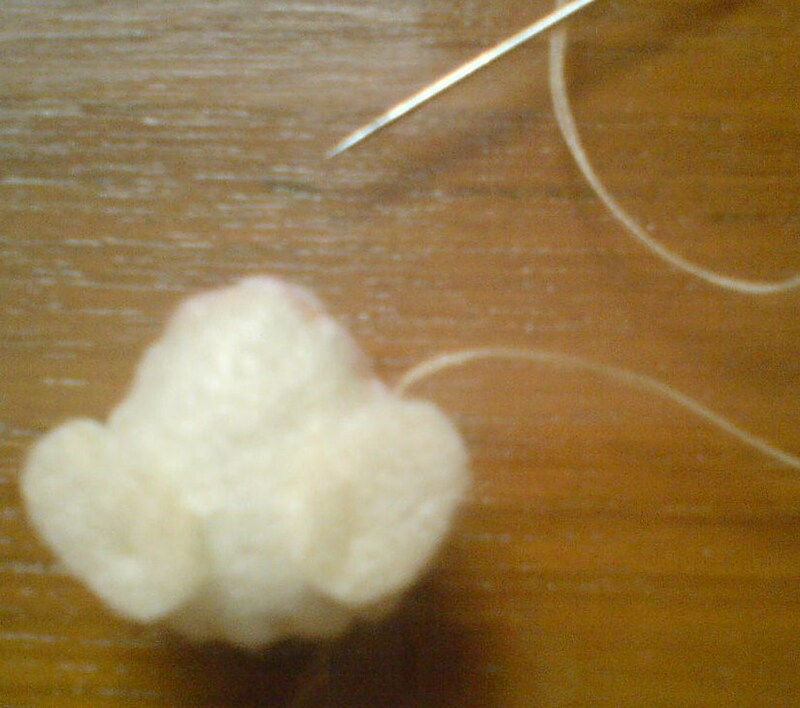 Then, attach/sew one two parts of feet patterns onto the body (see the picture above). 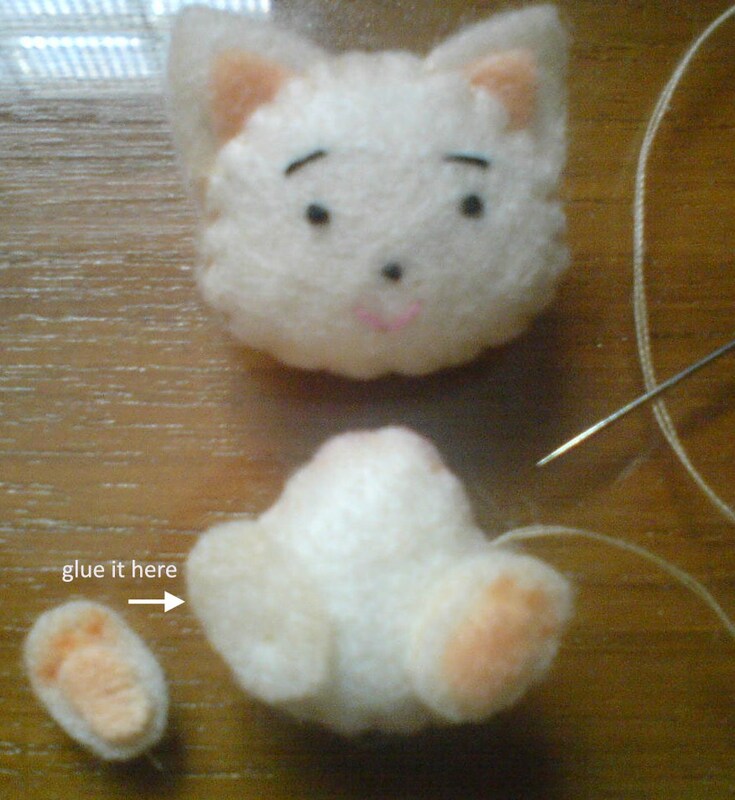 Glue the remaining two parts of feet patterns onto the first ones (see picture beside). Attach the hands and the head afterwards. Jahit dan satukan pola2 untuk kepala, badan, dan tangan, sambil diisi dengan dakron. Jangan lupa juga menyisipkan telinga ke kepalanya ya… Terus jahit 2 pola kaki ke badannya (lihat gambar di atas). Tempel 2 pola kaki sisanya pake lem aja, ga usah dijahit (lihat gambar di samping). Setelah itu baru jahitkan kedua tangan dan kepala ke badannya. 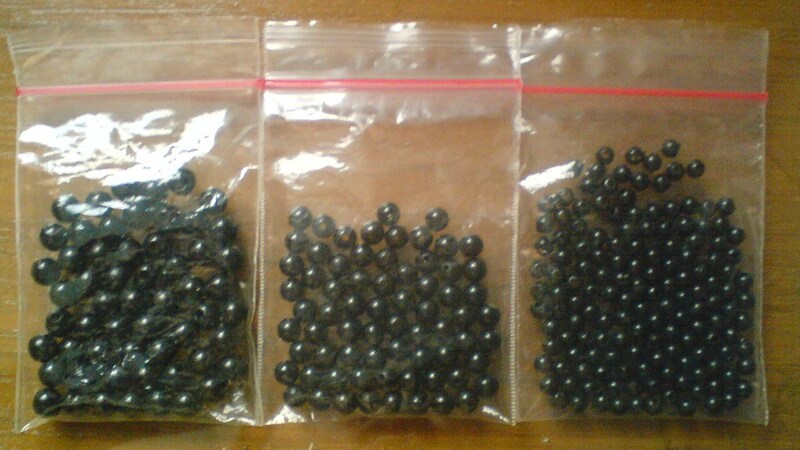 Note: If you make bigger version of the dolls, you may use black beads for the nose and the eyes. Catatan: Kalau bikin bonekanya yg besar, mata sama hidungnya bisa pake manik2 item.